Simon is determined to change the way the world sees his family, even if it means he can no longer pursue his dreams of being a scholar to take on his new title. When a thief breaks into his home and steals a precious family heirloom, he vows to get the item back. The last thing he expects is that the girl he met at a garden party is a thief! When Jude is discovered with his possessions, how will she ever convince him that despite her deception, her love for him is the truth? Great story. It keeps you interested. This Thief Will Steal Your Heart! Hard to Close the Book on Her! Judith Pengarden is one of two twin girls and one of four sisters living in what used to be a house of ill repute - The Craven House. Their home now serves as a place of shelter for women looking to escape brutality from men who have beat or abused them. Craven House provides food, clothing and passage to safety for these women. The women hope that this change in the reputation of Craven House will help them find some better standing among society, at least so that the sisters can marry. Family and home is very important to all of the girls. Judith and her sister Samantha see ‘delinquent notices’ coming to the house. The twins decide to take matters into their own hands to help save their home. Their options are limited, so they decide to steal a rare antiquity, sell it, and replenish the family coffer. Samantha scopes out the item and tells Judith where the valuable is located; Judith is to carry out the theft. The twins are identical, but that is where similarities end. They are complete opposites. Judith is interested in artifacts and the history surrounding them. However, she is not your average bluestocking. Judith, Jude to her friends and family, is smart, affable, lighthearted, and always alert to her surroundings. Her sister follows societies dictates, and is more concerned with making the best social impression on all of the men. This ‘little adventure’ couldn’t’ come at a worse time. Jude and her sister are being sponsored for their first season. Jude has no interest in any of the men she has met so far; she finds them only interested in themselves. Sam's interest is not only in making a match, but she is very interested in the relationship between the couple. And there is Payton, the younger sister behind them. 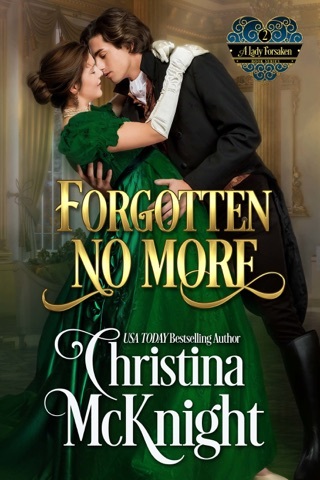 Jude realizes an arrest for thievery, especially with the history of their family, could send all of her family’s efforts to make them socially accepted by the bon ton for naught. But Jude and Sam focus only on losing their home, and she is confident of her skills. Jude sets out to steal a coveted and rare vase from the home of Lord Gunther. After all, she reasons, it would only be this once. Once Jude steals the vase, she finds that it is too ‘hot’ to sell. Everyone in London she could sell to has been alerted that the vase is 'hot.' They have to look for something else to steal. 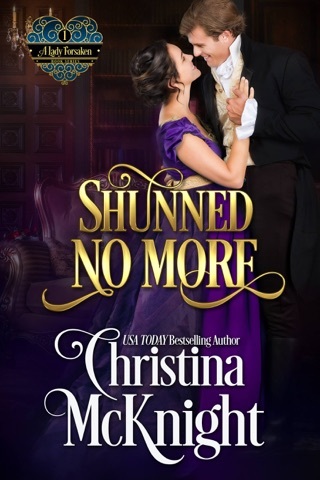 This time Samantha sends her to the home of another lord – one who is supposed to be out of town. This heist doesn’t go as planned, and Jude finds herself locked up like a criminal. Simon Montgomery, the new Earl of Cartwright is sent home from Eton just shy of his 21st birthday, his studies discontinued for nonpayment due to his uncle’s solicitor. When he returns home he finds that his Uncle has stripped his earldom clean of all of its unentailed valuables and absconded to the Colonies. Simon is forced to work in order to avoid being sent to debtor’s prison. He uses his passion for history to support his family – his sister Theo and his mother – working to procure antiquities for people wishing his services. This may not make them rich, but it keeps them in funds and enables him to try and find some of the heirlooms hocked by his uncle. Simon, or Cart as his friends and clients know him, finds talking in public about mundane things difficult – unless it has to do with his passion, his work. He is intense with his work. His family and his work are the most important things to him, and he is steadfast in his vow to protect and provide for his family. Cart is hired by Lord Gunther to find the stolen vase. He decides to circulate and work to find places and people that might have an interest in the rare vase. Jude is freed from the cell, but still feels compelled to help her family. She and her twin feel their best bet is to unload that vase. These two individuals’ destinies are set to collide. It is the collision that is their story – one full of fun, heart-tugging surprises and emotion. 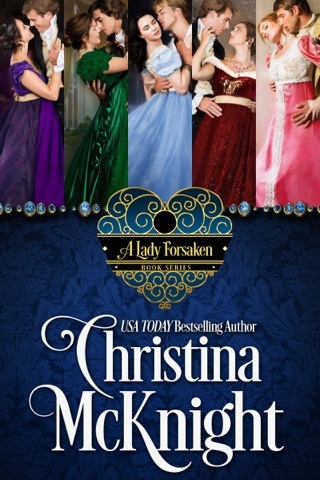 Christina McKnight gives each of her stories a unique and vibrant storyline. Her book hooked me on page one, held me captive, and then ended the story beautifully, but leaving me wanting MORE of them. 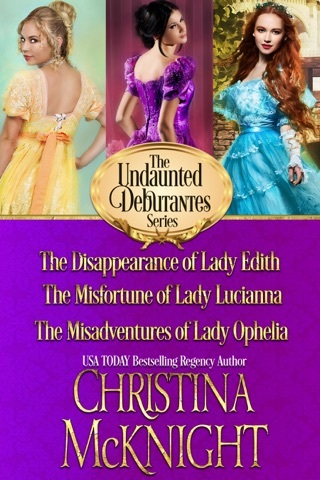 Christina’s characters are intriguing and fun. Her stories and characters feel real…not like a fantasy character. She shows the flaws or the Achilles heels of her characters in the very beginning of the story. You see their flaw or weakness, and then she has them work through the problem with you, enabling you to understand them, develop feelings for them. Almost immediately, you become hooked on the book. It’s a very subtle, yet effective. Each of the characters in this story is well developed, and ready for their own story to emerge. Her characters are so well done, that even though you are closing the book at the end of the story, you feel you might possibly have known or know a person like the one in her book. I was given this ARC for an honest review. I’m giving the book five stars. My reasons? Honestly, I’m giving them for the creative story line, the rich character development, and because I had to MAKE myself put this book down in order to go to sleep. I picked it up as soon as I woke up to finish it! 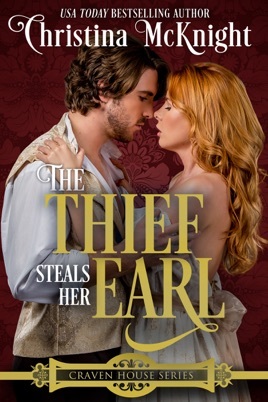 Read it and see how the thief stole the earl!